R.B. Hinkle recently installed Fastenal Vending machines at their headquarters in Sterling, Virginia. What’s the big deal? These machines have been the rage since 2008 and are found in more than 50,000 manufacturing, construction and industrial companies throughout the USA. For R.B. Hinkle, this was a huge improvement over the previous method of managing safety supplies for their crews of 160+. Safety Director Ed DeNeale says it has greatly reduced the administrative time and costs required to manage a manual safety supply inventory system. 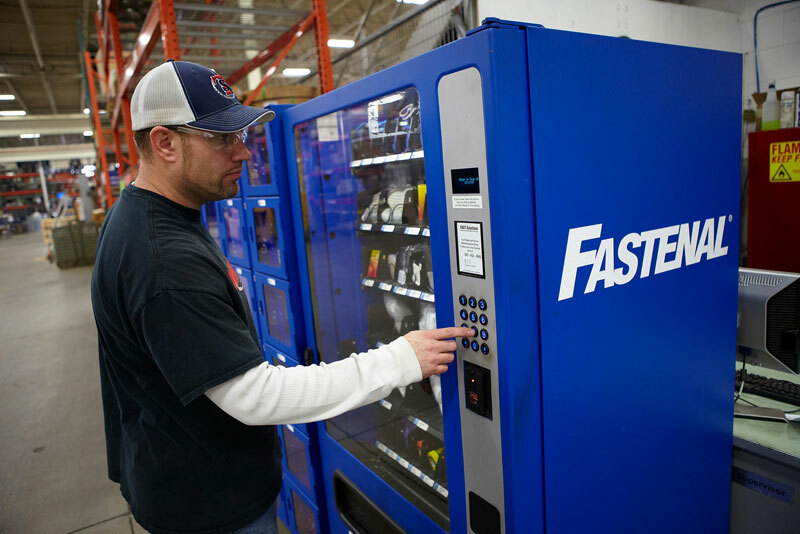 The Fastenal vending system eliminates the need for R.B. Hinkle to manage the safety gear inventory, instead the machines are maintained and replenished by local Fastenal personnel. “Having 24/7 access to the products offers flexibility to the crews. In a busy work environment like R.B. Hinkle, this access has been invaluable,” commented Ed DeNeale. In addition, the vending machines provide detailed usage reporting for automatic reordering and individual usage reporting.